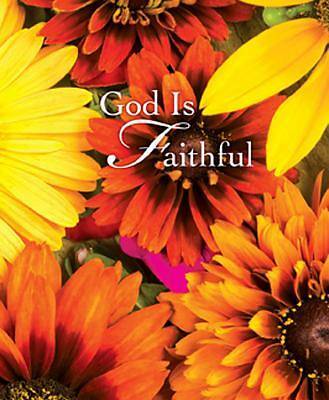 Colorful fall flowers span the cover of this bulletin with the message "God is Faithful." Bulletin measures 8 1/2" x 14", folded to 8 1/2" x 7". Use Abingdon’s window envelopes (item number 9780687094455) with the seasonal letterheads and the letterhead design shows through to add festive color to your mailings.